When it comes to green companies there are several things that I find uber important. First, do they use sustainable materials in their production? Are they energy conscious? Are their packaging materials recyclable? Let me introduce you to NaturaWorld's Green Initiative. I consider myself extremely lucky to have been sent a variety of products to review. I was sent the All-Natural 4-Piece Crib Set, NaturaProtect Crib Deluxe Mattress protector and a Traveling Pillow. The All-Natural 4-Piece Crib Set is by far the nicest set of sheets that my baby will ever sleep on. Not only are they soft as can be but they are made with out chemicals and irritants. The color is a light tan (natural cotton) so it is perfect for a boy or a girl! You can jazz it up with a colorful baby :) The 4 piece set includes bumper pad, comforter, and crib sheet and crib skirt for complete nursery styling. I also really like that all the items are washable and able to be dried as well. That is not only convenient but also very handy! The NaturaProtect Deluxe Crib Mattress Protector is Amazing! I have used three different types of mattress protectors for Dexter's Naturepedic Organic Crib Mattress and I have hated each one.....until now! 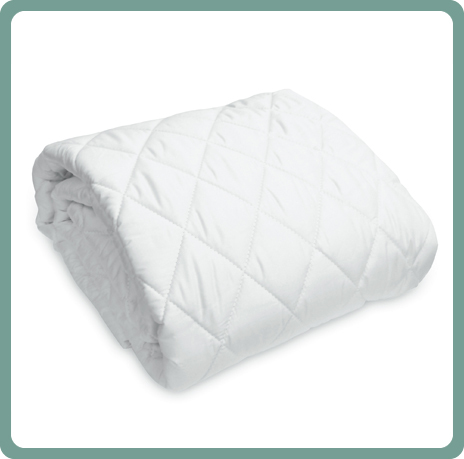 The NaturaWorld Deluxe is not only padded with wool but it is so comfortable. The only thing between your baby and their mattress is a mattress protector so shouldn't it be comfortable and breathable? The ultimate in protection against nighttime allergens, the NaturaProtect Deluxe Crib Mattress Protector defends against dust mites, mold, mildew, fungus and bacteria with NaturaProtect Silver technology. This thin, breathable barrier is so safe, the FDA has even approved it for contact with food. A washable Cry Less Wool™ core adds comfort and maintains a dry, temperature-regulated bed for baby. With this pristine breathing environment for baby and peace of mind for you, breathing easy comes naturally. As far as the traveling pillow is concerned, I am not the biggest fan. I love the compact size but it is a little too plush for me. I am a back sleeper and I like a pillow that is barely there. I sleep on an okay pillow as I have never found one that I am in love with-yet. I am anxious to use the travel pillow when I am further along and forced to be a side sleeper. I remember being super pregnant with Dexter and I loved a nice, thick pillow when I had to sleep on my side. This might fit the bill perfectly. NaturaWorld sells a multitude of pillows to help lull even the toughest sleeper to sleep! We spend more than 1/3 of our lives sleeping, shouldn't we be sleeping on all natural, quality bedding? I wouldn't waste my time with crappy, chemical-filled 200 thread count sheets ever again. I am so excited to tell you that not only does NaturaWorld want my baby to sleep well but they want your baby to sleep in a chemical-free environment as well. 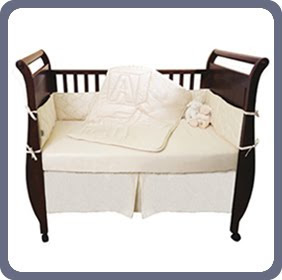 They are giving one lucky winner the same 4-Piece All Natural Crib Set that I reviewed worth over $225!! Head over to NaturaWorld and tell me your two favorite items that they sell (that were not mentioned in this review). Come back here and leave the URL to both items in your comment. Also leave your email address if it isn't in your profile or I won't be able to contact you! *Become a Fan of NaturaWorld on Facebook and write on their wall "Dexter's Super Savvy Mommy sent me"
This contest will end on May 19th at NOON EST. Good Luck! It is open to US and Canadian entrants! I like the wool filled comforter. Thanks for the chance. I can't remember how I found your site as I have been a follower for simply ages. Probably through another blog but I couldn't tell you which one! Earth Month button entry #2! love the Luscious Pillow and the Eco Green Pillow! I love the pet bed http://www.naturaworld.com/catalog/essentials/natural-pet-bed and the Aromatherapy Spray http://www.naturaworld.com/catalog/essentials/aroma-therapy-spray. I like the sunshine pillow and the moonbeam mattress. Thanks for the great giveaway. I am a fan of Naturaworld on facebook and posted the message on their wall that DSSM sent me! I found your site by meeting you through eco store! I entered your yummi bear vitamin giveaway! I entered your livie and luca giveaway! I like the Luscious Pillow & the Eco Green Pillow. I like the Plushious Pillow (http://www.naturaworld.com/catalog/pillows/memory-foam/perfect-pillow) and the Sound Machine (http://www.naturaworld.com/catalog/essentials/sound-machine). How I found out about your site: My sister told me about your site. I LOVE the Sunshine pillow - just the name says good sleep! The Organic Sheet set looks beautiful as well! 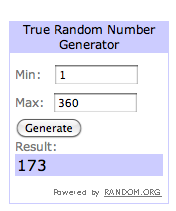 I entered your EOS Giveaway. I like the organic cloud contour pillow and the eco haven mattress!